Happy to be a part of the Tokens Show season opener again. 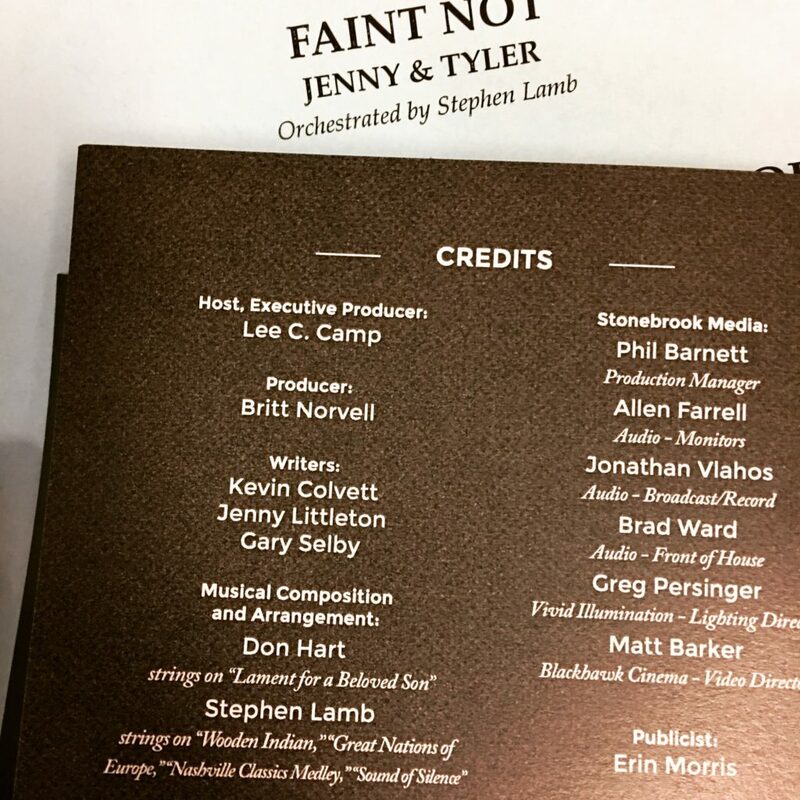 I’ve spent most of the week writing string and harp parts for the show (Jenny & Tyler’s cover of the Simon & Garfunkel classic “The Sound of Silence,” was especially fun, as was their song “Faint Not”), and am awfully glad to join Host Lee Camp and Music Director Jeff Taylor in putting together this music. This entry was posted in Music, String Arrangement. Bookmark the permalink.